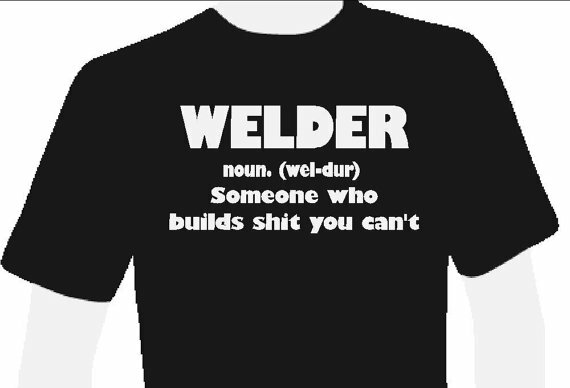 The Best Funny Welding T-Shirts! 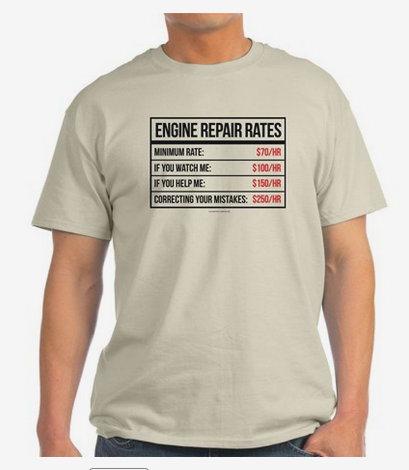 This is a quality shirt, 100% organic cotton. Funny and nice looking at the same time. 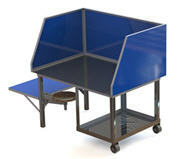 Comes in several different colors. 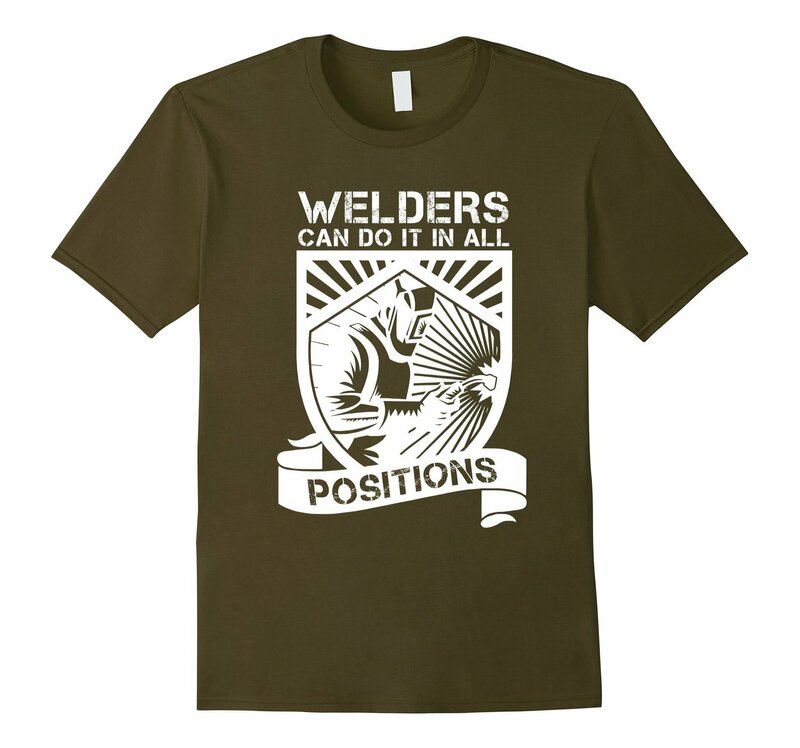 The 'Welders Can Do It In All Positions' t-shirt comes in dark colors and light colors. Front of shirt. It's also 100% organic cotton. It's funny and edgy. Back of shirt. This shirt comes in different colors! 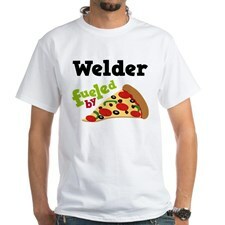 This 'Some like to dip it...' welding t-shirt above comes in different colors: Light colors, dark colors. Statement t-shirts are not just for fashion – they are meant to express who you really are, your hobbies and interests and what you mainly do for a living. 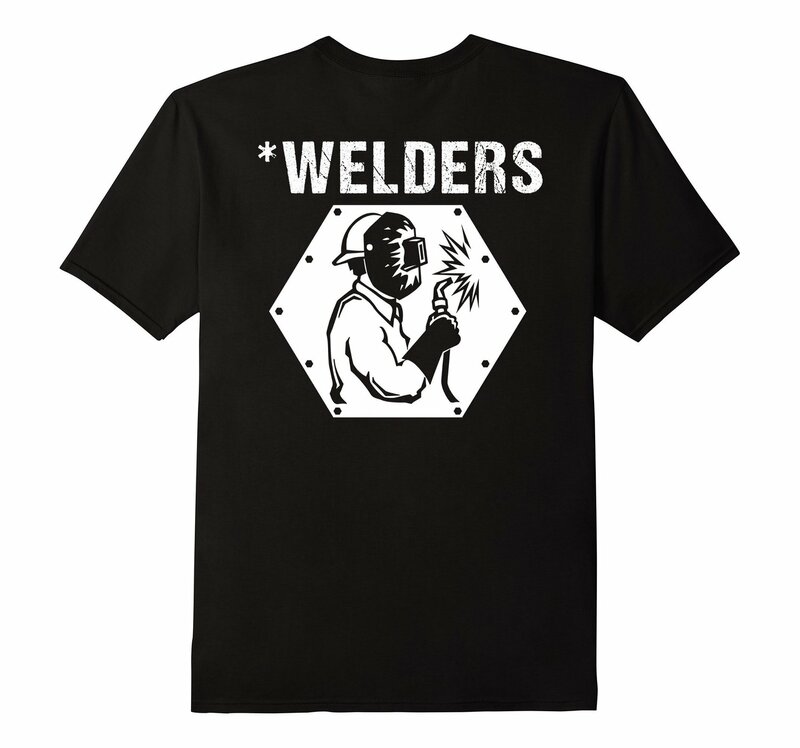 If you are a true blue welder, you might want to show off your true colors with these really cool and funny welding t-shirt designs. 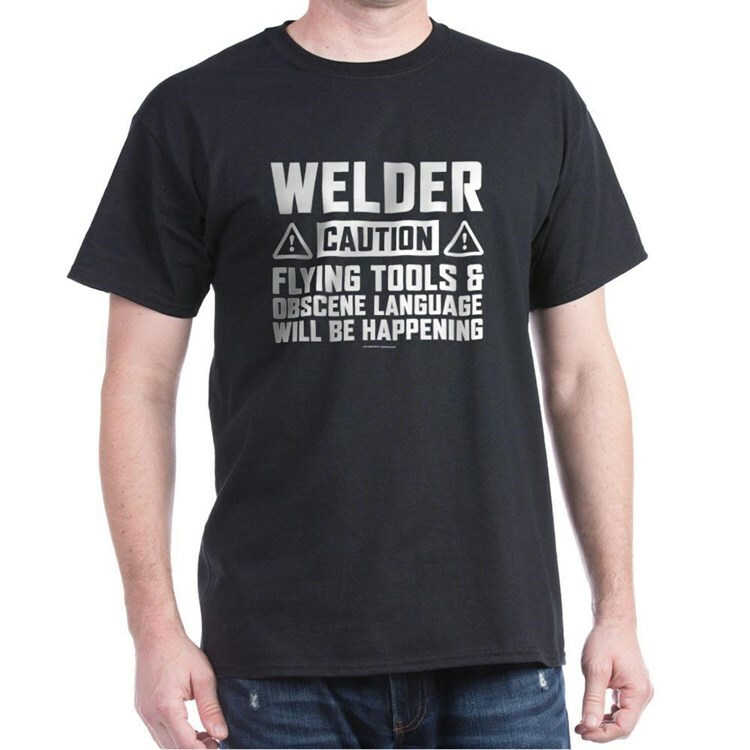 Indeed, this is something you might want to wear if you feel a little bit confident about your profession and want to slightly brag about being a hard-boiled welder. It’s like telling people that welding is a serious job that requires a lot of skill, practice and accuracy. 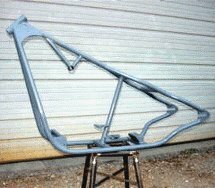 You can’t really just build something without planning and knowing what to build and put together, as well as technical knowledge of welding components and aspects. 4. Engineers Need Heroes Too. True enough, engineers may be the ones who plan stuff, but the ones who build them are the welders. Without welders, there will be no staff to finish buildings, frames and structures that we see today. Perhaps you can think of it as the welders being the brawns and engineers being the brains of the project. But that doesn’t mean that welders aren’t intellectual – you can be both an engineer and a welder at the same time. After all, before you can become an engineer, you have to get into the basics of welding and mechanics so you can create excellent building and machine plans that will get you places and earn you a lot of money and reputation. 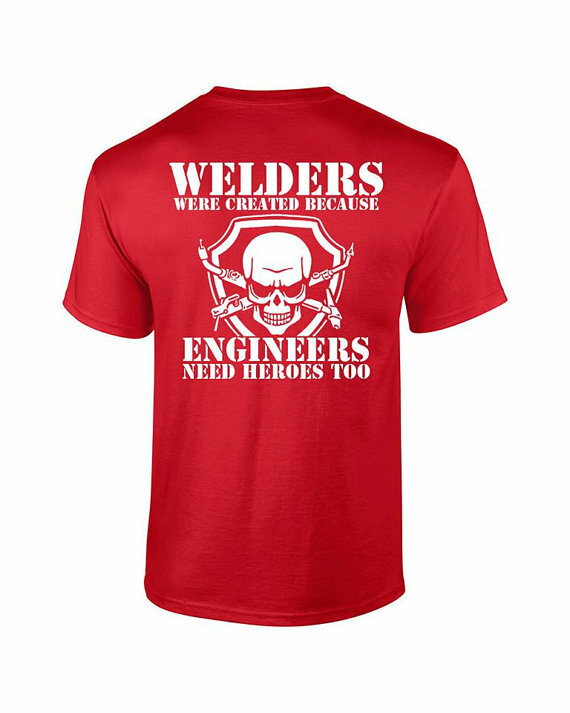 Wear this statement shirt if you have folks who have a hard time identifying the real roles of engineers and welders. Welding is no easy task. You’ll get occasional bad moods when you couldn’t get something to work or if you are stuck with deadlines if you work on a shop or similar business / job. This is like a warning statement t-shirt saying that welders should not be disturbed when they are on their job because they are focused and dedicated to finishing it not just on time but also with high quality results. Welding is an exhausting task. Not only that, it eats up (pun intended) your time that you rarely have time to eat. This is why most welders, especially home or shop welders, just order pizza by the phone or online so they can save more time, which they can use for their welding project. After all, who wouldn’t love the taste of freshly-delivered pizza after a hard day’s work? 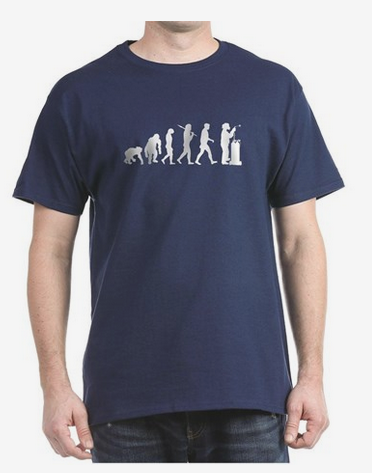 A parody of Darwin’s “Human Evolution” series, this t-shirt design is a witty way of telling people not just that you’re a welder yourself but humankind, in its eventuality, can become a welder if they wish. Humanity evolved from primate species to become an advanced and sophisticated living being that strives to work their way to building better machines that help simplify our lives. Repairing engines through welding is no easy task, especially if you are going to do a work over of some machine that has already been unfortunately messed up by someone else – either another welder or someone inexperienced in welding or building. 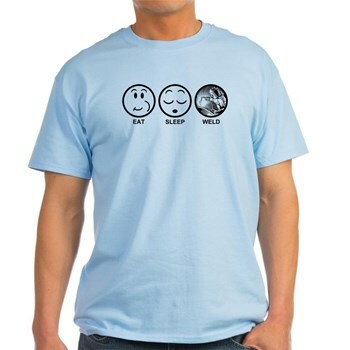 If you have experienced such, you can express yourself with this pretty cool statement t-shirt. 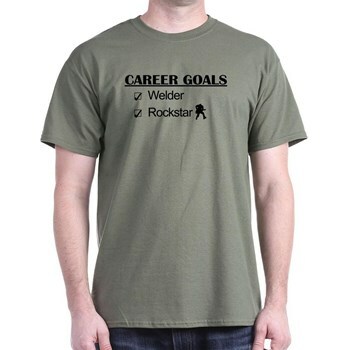 Welders are not just welders but they are also rock stars who love metal (pun intended). Welding is more than just being badass but also trying to appeal your customers (or even yourself) with high-quality welding skills and works. Ah, yes, the life of a welder. Some people think it’s boring, especially if they do it for a living. But it really depends on your perception and passion. Most welders really do delve into their passion and do nothing but weld because they love to build and create.